What is an EAN code? EAN is an abbreviation for European Article Numbering and an EAN code is a unique combination of digits which identifies articles based on the GS1 Standard. After you’ve registered with GS1 as a brand owner you can purchase your first EAN codes. Using this GS1 (EAN) code you can uniquely identify your products, locations, shipping units and people globally. The EAN codes are unique on a global perspective and it’s easily convertible to a EAN13 barcode with Productlabel. To explain by example, we’ll use the barcode pictured here. The code embedded in the barcode is displayed underneath it, from this code we can deduct in which country the brand owner is located. The first three numbers of the code identify the country; in this case 871 falls in the range of 870 to 879 which indicates the Netherlands. The 7 subsequent digits are given to the company by GS1. Combined with 871, this is the so-called GS1 company number, also referred to as the Company Prefix. The second and first to last numbers, 0 and 7 in this example, are a series of 100 numbers (00 through 99) that an organization itself may link to its products. The final number is the check digit, which is calculated by means of an algorithm that is based on all the previous numbers in the barcode. 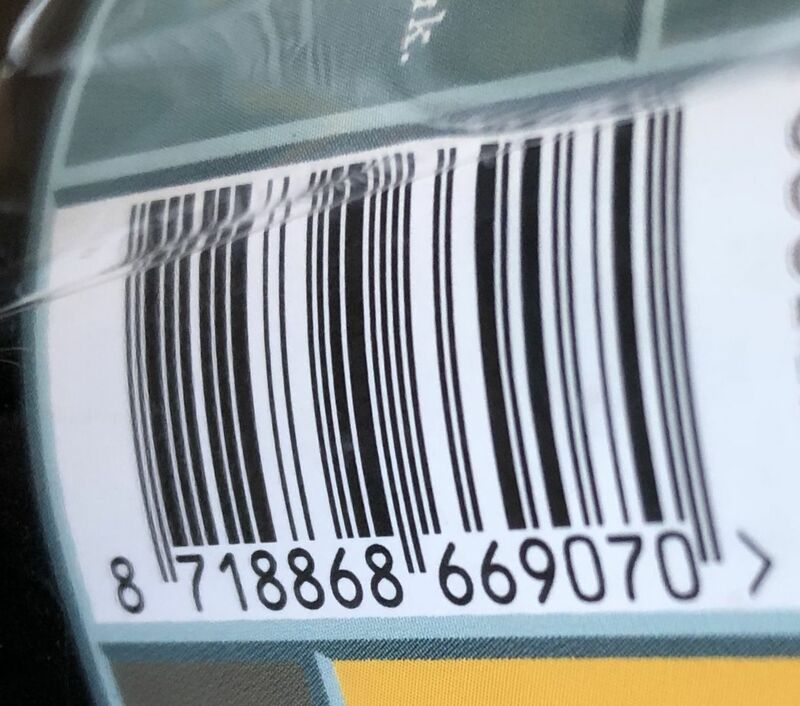 To which product does this barcode belong to? The example barcode belongs to the dry-hopped pilsner 1862 of Brouwerij HOOP (Brewery HOOP) located in Zaandijk. Brewery HOOP uses the Productlabel module in Palletlabel to manage their products and provide them with a GS1 product code, or GTIN. They also generate EAN-13 barcode labels with the Productlabel module. In addition, Palletlabel is used for large supplies to merchants. The required SSCC-label is automatically generated and placed on the delivery. Productlabel is a (web based) SaaS application which can be used to assign EAN codes to products and subsequently create a scannable barcode version of this code. This barcode can be an EAN 13 but it’s also possible to create ITF-14, Databar, UPC-A or GS1 128 barcodes. Because Productlabel is an online portal it’s available all over the world. The administrator based in the Netherlands can manage the products and their codes, while an operator in a production facility in Asia can print the correct barcode labels. A Productlabel subscription is available starting at only 20 euros a month. Online sales? EAN codes are required! Companies looking to sell their products at retail stores or through online retailers such as bol.com, Wehkamp, Amazon, Ebay, Google Shopping, Beslist.nl and Alibaba are required to assign GS1 codes (EAN 13) to their products. The matching EAN13 barcode also needs to be provided so that the products may be scanned. Productlabel offers a free online EAN 13 barcode generator on this website, as well as a paid personalized and secure Productlabel portal. Starting at 20 euros a month you can centrally manage your GS1 codes, products and create various barcode labels. No more chances to accidentally assign a code twice, and always create barcode labels that meet the GS1 standard. A subscription on Productlabel comes with unlimited user accounts, unlimited product entries and matching labels. Because the portal is online accessible, it’s possible to create labels all over the world. Quick, easy and simple. Happy selling! Contact us. We are happy to help you!